If you find yourself charged with or considered a suspect in a misdemeanor or felony, you will need a Michigan criminal defense attorney to help you. But if you’ve never needed a criminal lawyer before, you may not know how to go about finding the best one to help. This article can help. Experience, not only with Michigan criminal laws but also someone with experience handing the kind of charges you are facing. A good working relationship with the prosecuting attorney in your case or at least others in the same office. A strategy for you that you believe will get you positive results. A fair legal fee that is commensurate with the lawyers experience and skills but within your budget. Now you have a measuring stick with which you can compare any lawyers you meet or talk to. There are several ways to find a private criminal defense attorney in Michigan. You can check with your friends, family members, and business colleagues to see if any of them have ever hired a criminal defense lawyer. Did your attorney work hard for you? Did your attorney seem to have the respect of the prosecuting attorney? What did you like about your attorney? Would you rehire your attorney if you ever needed a criminal defense attorney again? If you feel uncomfortable to discuss your legal problem with those who you know, finding a lawyer with the help of the internet is the second best choice. Popular search engines, like Google for example, can give you a wealth of information regarding attorneys who practice in any particular geographic area, what types of law a lawyer may specialize in, what a lawyer’s prior clients may have said about them and what other lawyers and/or judges have written about the lawyer. Websites like Avvo.com have ratings on most known, respected lawyers in Michigan. Just because you have a name of a Michigan criminal lawyer or two does not mean you are ready to hire someone. Think back to the list of qualities you want your lawyer to have. You need to interview the criminal defense lawyers before you hire one. You want to find the lawyer who, based upon your list of important qualities, seems to be the person who will fight for you and is not afraid to win your case or do what is necessary to get you the best possible result. Before your meeting, you should come up with a list of questions you would like to ask the lawyer. Focus the questions on topics that will help you with your hiring decision, such as the lawyers background and experience with Michigan criminal law-and specifically with the charges you are facing-and proposed strategies for you. Be aware that the lawyer will not be able to tell you exactly what will be done in your case because that critical, complex strategy decision can only be made after considerable time and energy is spent developing your defense. Also ask how much the legal services will cost. A criminal defense lawyer that cannot give you a fee in writing should be avoided at all costs. If a lawyer does not use a formal retainer contract, turn away and leave immediately. Not using a written Fee Agreement is unethical and will undoubtedly result in higher than expected legal fees, uncertain obligations, and other conflicts. A list of any known witnesses that may be helpful or other parties that may have information that could help or hurt you in the case. NOTE: It is not critical that you have these documents at the initial conference. It is better to get the lawyer working for you ASAP even if you have to take time later or get help from the lawyer to get this information at a later date. When you meet with the lawyer, answer the lawyer’s questions directly and honestly. There is no need to hide any details. In fact, hiding details or failing to accurately disclose information about you or the offense can severely impact the lawyer’s ability to protect and defend you. All criminal defense attorneys are bound by strict rules that prevent them from repeating anything they hear from a potential client (this is called attorney/client privilege). Even if you decide to hire a different attorney, all attorneys you meet with must keep your answers confidential. 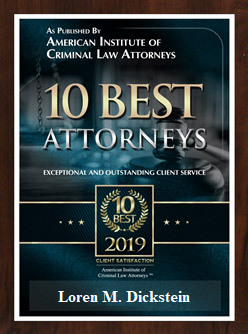 When you have completed the last first interview with the attorney or attorneys on your list, it’s time to choose a Michigan criminal defense attorney. Think back to the qualities you defined above as being most important to you. Which attorney best matched your ideal? Which lawyer seems most sincere? If you only met with one, but he or she had the qualities you are looking for, then your search is complete and you are ready to hire the lawyer. Lawyer or law firm: If a lawyer is a member in a law firm, that is an indication that he will have more resources at his disposal to assist you and defend your case. Partner or associate: A partner is a partner for a reason. A partner in a law firm is generally more experienced, successful and effective. High price or low price: Most people have limited financial resources. This being said, the old principal of: you get what you pay for, is generally accurate. A better lawyer can generally command a higher legal fee. Office or No Office – Surprisingly, many Michigan criminal attorneys do not have an office or simply rent out a conference room or resources inside another firm’s office. If a lawyer is successful, he or she will generally have their own office. Look for the lawyer’s name on the door or exterior of the office. Over 15 years experience or under – It takes about 15 years of experience for a lawyer to truly master his or her practice. A lawyer with less than 15 years of experience is still learning and may not have the experience, skill or wisdom necessary to provide the most effective defense. Criminal Specialist or Multi-Practice Lawyer. For a lawyer to be an expert at any particular field, he or she must be highly specialized. If an attorney practices criminal defense in addition to other areas of the law (family law, real estate, immigration, personal injury, etc…), it is time to find a different lawyer. Guarantee, promise or other types of unethical assurances. It is unethical for a lawyer to give a guarantee or to promise any particular result. A lawyer who promises that you will not be convicted, guarantees that you will not go to jail or assures you of any other particular result is clearly so desperate that he or she is willing to manipulate you into making a misinformed hiring decision. This type of lawyer is not to be trusted. National recognition – there are a variety of ratings that you can look to when making a hiring decision. 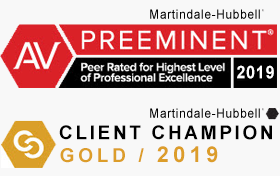 A lawyer who has been awarded the distinction of Super Lawyer, AV (preeminent) with Martindale Hubble and/or 10.0 (superb) with Avvo is usually a really good indication that a lawyer is recognized for their experience, expertise and outstanding results. If you follow the above guidelines you will be in an excellent position to make an informed, intelligent and educated decision on what lawyer is best for you. 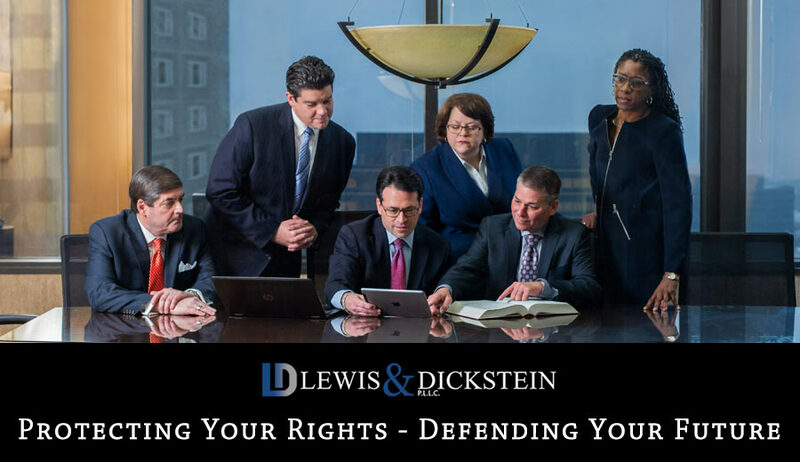 If you would like a free consultation with a criminal defense lawyer who is nationally recognized and dedicated to the passionate, fearless and tireless defense of those charged with State and Federal misdemeanor and felony offenses, please call LEWIS & DICKSTEIN, P.L.L.C. at (248) 263-6800 or fill out a Request for Assistance Form and a partner in the law firm will promptly and personally contact you.